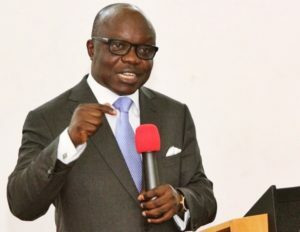 Candidate of the All Progressives Congress (APC) for the Delta South senatorial district in next year’s general elections, Emmanuel Eweta Uduaghan, alongside other party members have dedicated the party’s on-going elections campaigns in the State to God. Tribune reports that the dedication which took place on Sunday at Rainbow Christian Assembly, Warri, Delta State was organized to put the party in the hands of God. 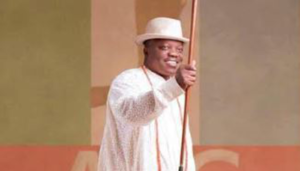 The former Delta state governor, speaking on behalf of the party said, “Political battles are not easy. Personally, I do not neglect the place of prayer in everything that I do. That is why we have come here as a party to dedicate our campaigns to God. “Though the process of the primaries was not easy, we thank God that He saw us through our turbulent time. The former governor, who traced the events that led to him joining the party, said that when two opposite battle leaders are now on the same side, it is easy to predict victory. APC chieftains present at the event were the chairman of the party in Delta State, Jones Erue; governorship candidate, Great Ovedje Ogboru; Senator Ovie Omo-Agege amongst others.